Use for all media. The smooth, fine grain surface allows precise strokes and homogeneous application of pencils and crayons, as well as ink, acrylic, watercolour and water-based-markers, for calligraphy etc. Erases well. 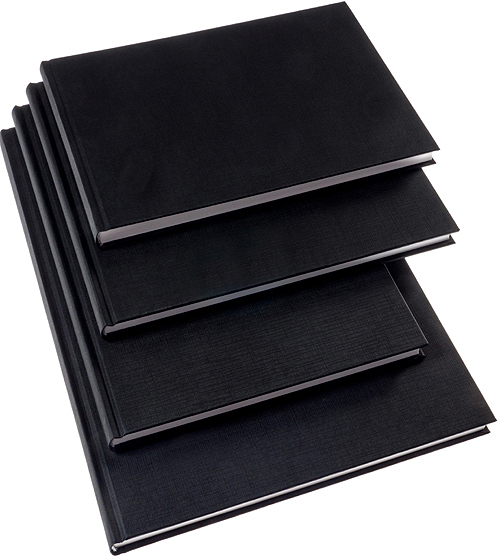 128 pages, thread-sewn, hardcover black, round spine, white tailband. Like all other covers of K&P it is free of PVC. Paper: 150 gsm, natural white, smooth, plate finish. The archival paper is of 100% Cellulose with no chlorine bleach or lignin and is acid free. Meets the ISO Standard 9706 "long life". Paper and books are made in EU.